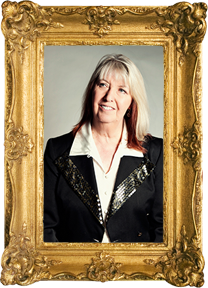 The instantly recognisable voice of Steeleye Span, Maddy Prior began singing in her early teens and hasn’t stopped since. Forming a duo with Tim Hart in the mid-sixties, the pair were part of the debut line up of Steeleye and remained with the band until the early eighties, when Hart was forced into semi-retirement. A brief sabbatical after the well received Time album aside, Prior has been the one of band’s constants – her voice guiding them through a variety of styles, from her beloved traditional music to rock and pop. Outside of the band, Maddy has a long history of collaborations and a successful solo career. Forming the Silly Sisters with June Tabor at the height of Steeleye’s success in the seventies, her work has included a delightful series of albums and tours with The Carnival Band, the trio Maddy & The Girls and appearances with many of the musicians who she has inspired over the years – including The Levellers, Hannah James, Rev Hammer and Benji Kirkpatrick – as well as hosting singing workshops at her Cumbrian home. Whatever the project, however, it is Maddy’s voice that is the clarion call.